We are in full blown Christmas mode hoping to inspire you with some wonderful new crafts to enjoy this coming holiday season. This lovely paper Christmas tree craft we are sharing today was inspired by these darling 3D Unicorn Decorations over on Red Ted Art. 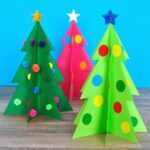 We created our 3D baubles from Christmasy paper and shiny foil cardstock and added them to a paper Christmas tree for a lovely Christmas decoration to display at home or school. 1. 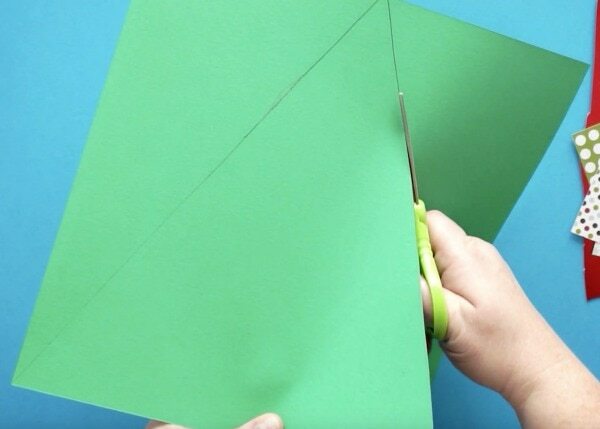 Begin by cutting out a triangle from your 12″ x 12″ green cardstock. I found it easiest to draw a line from the center of the top of the paper down to each bottom corner of the paper to make a triangle shape. Then cut out the triangle. 2. 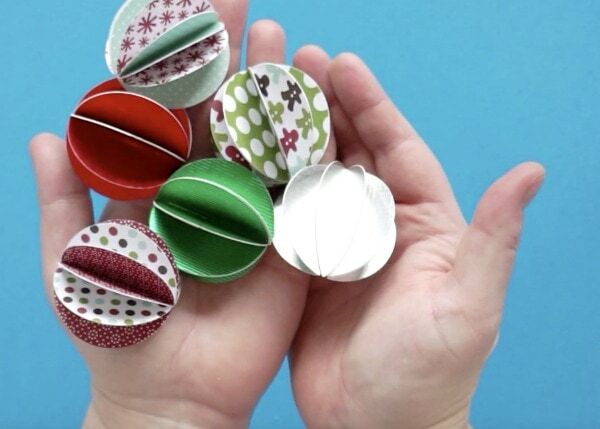 Cut out several 2-inch paper circles from your Christmas scrapbook paper and foil cardstock. 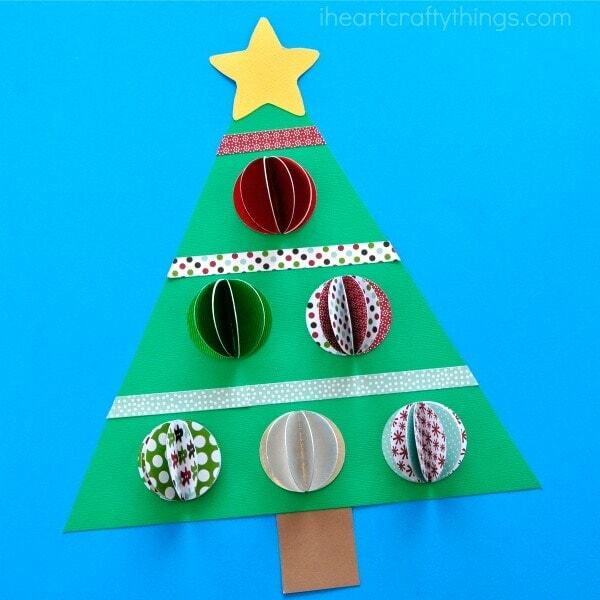 To make a Christmas bauble we used 5 circles from the foil cardstock or 6 circles from the Christmas scrapbook paper. We used six baubles in all for our paper Christmas tree craft. 3. Fold your paper circles in half with the bottom of the circle facing out. Add glue to one side of the folded circle and glue each of the sections on top of the other to create the 3D bauble. Leave the first and last section of the bauble unattached from each other so you can glue the bauble onto your Christmas tree. 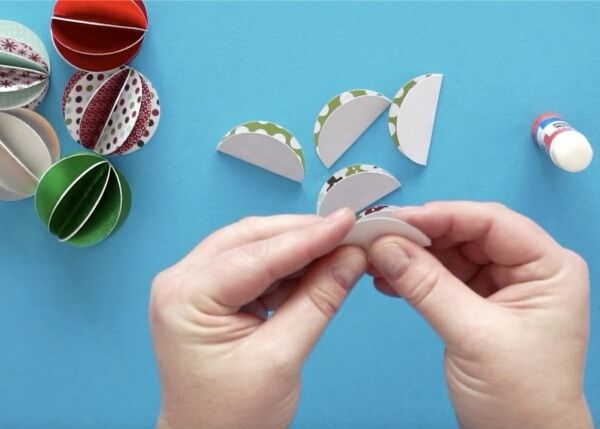 Continue folding and gluing the paper circles together until you have six baubles. 4. Cut out a tree star from your yellow cardstock and a tree trunk from your brown cardstock. Glue them onto your triangle paper Christmas tree. 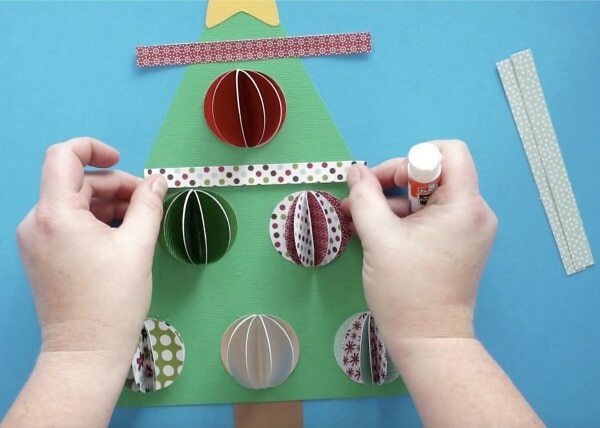 Then add glue to the bottom of your paper baubles and glue them onto your tree. 5. 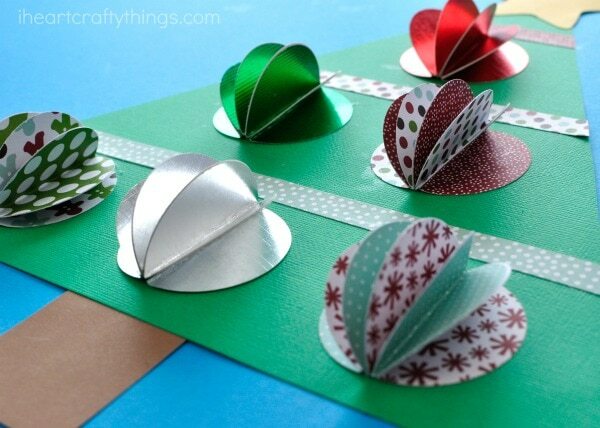 Cut out 1/2-inch paper strips from your Christmas scrapbook paper. 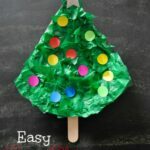 Add glue to the back and glue them onto your paper Christmas tree craft to look like garland. 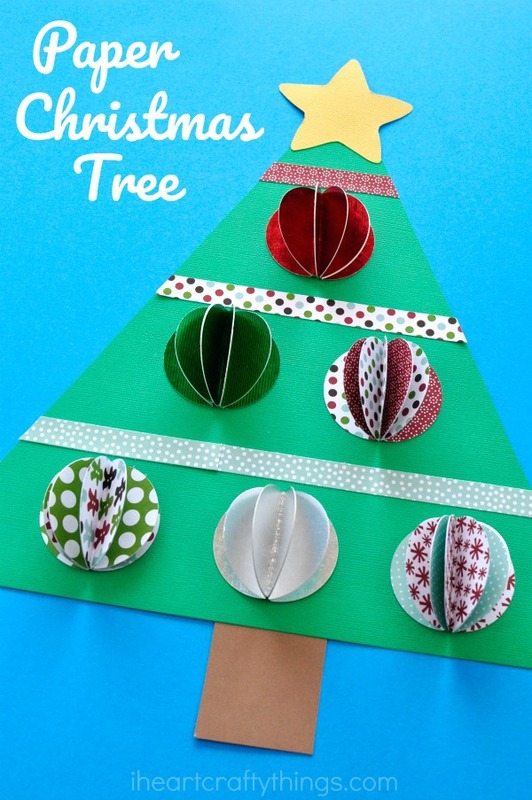 Your Paper Christmas Tree Craft is complete! 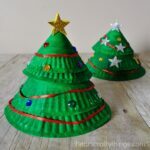 Looking for more fun paper Christmas crafts? This Santa Beard Christmas Countdown Craft is always a huge hit! Or you might also like this darling paper Rudolph Craft.